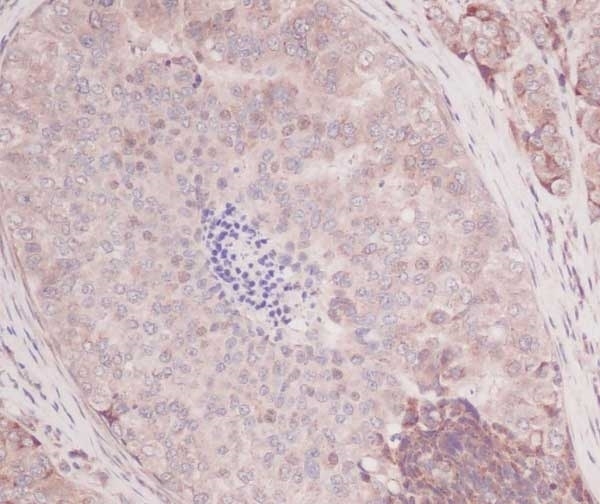 Rabbit anti Human MCP-1 antibody recognizes human MCP-1 (Monocyte Chemoattractant Protein 1), otherwise known as CCL2, a 76 amino acid CC chemokine which acts as a chemoattractant for monocytes, basophils, activated T cells and NK cells, through binding with the seven-transmembrane G protein-coupled receptor, CCR2. The recruitment of mononuclear cells by MCP-1, has established this chemokine as an important factor in innate immunity, implicated in the pathogenesis of inflammatory diseases such as rheumatoid arthritis, multiple sclerosis, uveitis and bronchial asthma. Increasing studies have also linked MCP-1 with the polarization of activated T cells into the T helper 2 (Th2) subset, revealing a role for MCP-1 in the adaptive immune response. 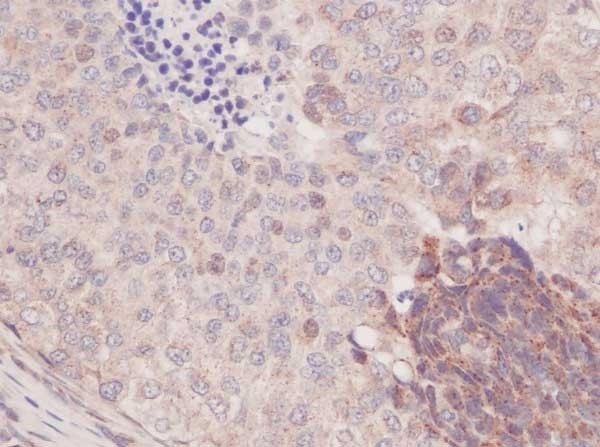 Rabbit anti Human MCP-1 antibody has been successfully used as a detection reagent in the development of a sensitive ELISA assay for the evaluation of MCP-1 expression in conjunction with Mouse anti Human MCP-1, clone 2.2-4A4-1A11 (MCA2486) and recombinant human MCP-1 (PHP061) as a calibration reagent. Reconstitute with 0.5ml sterile PBS containing 1% Bovine Serum Albumin. Antisera to human MCP-1 were raised by repeated immunisations of rabbits with highly purified antigen. Purified IgG prepared by affinity chromatography. Recombinant human MCP-1 ( PHP061). Where this antibody has not been tested for use in a particular technique this does not necessarily exclude its use in such procedures. Suggested working dilutions are given as a guide only. It is recommended that the user titrates the antibody for use in their own systems using apropriate negative/positive controls. This product may be used in an indirect ELISA or as a capture antibody in a sandwich ELISA together with AHP784B as the detection reagent and PHP061 as the standard. This product may be used under either reducing or non-reducing conditions with PHP061 as the positive control. Banisor, I. et al. (2005) Involvement of beta-chemokines in the development of inflammatory demyelination. J Neuroinflammation. 2 (1): 7.